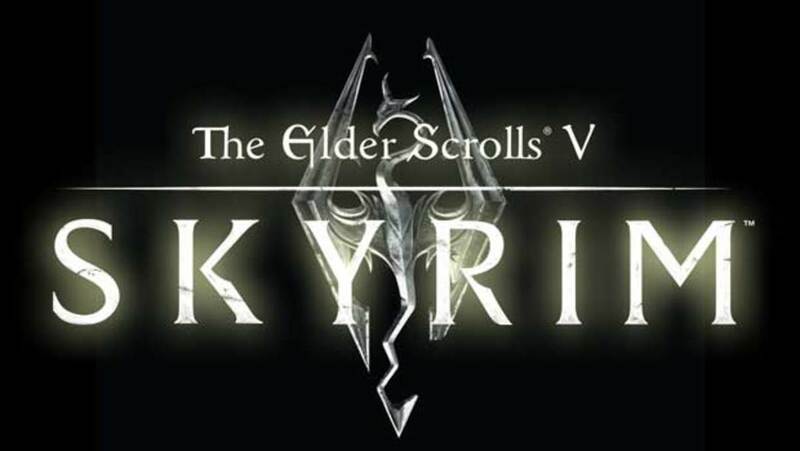 In Skyrim, the hero has to infiltrate the Thalmor Embassy and find out if the Thalmor have been resurrecting dragons. This is the Diplomatic Immunity quest. This will guide the hero in creating a distraction at the Thalmor Embassy party, infiltrating deeper into the Thalmor Embassy to reach the thalmor ambassador's office, entering Elenwen's solar and then entering the Thalmor Embassy Dungeon to get the thalmont's dossiers and dragon investigation papers. 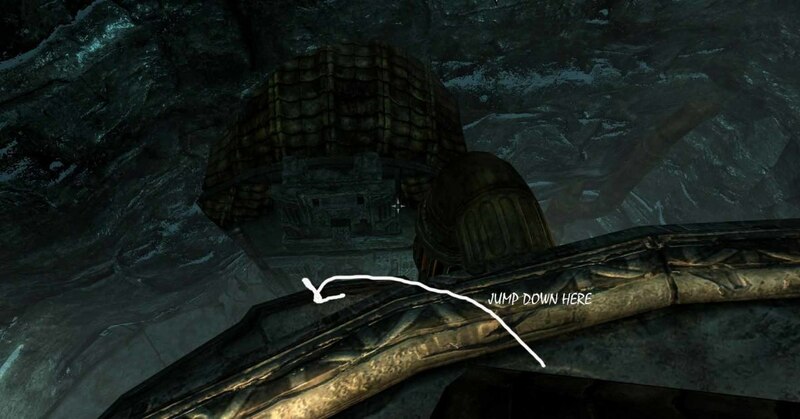 Finally escape from the Thalmor Embassy through the trapdoor to the Reeking Cave by using the trapdoor key. In Skyrim, to start the thalmor embassy quest, the hero has to meet Delphine at Riverwood and then head north to Solitude. 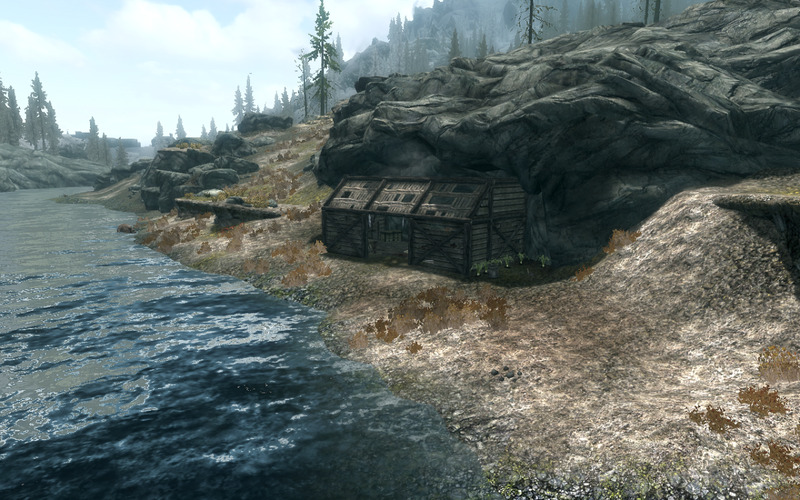 Solitude is easily reached - head to Morthal by fast travel, and then travel northwest from here until the hero sees a huge river littered with some boats. Swim across the river and enter the East Empire Company Warehouse area. Now turn left, and continue climbing the stairs until the hero reaches the gates of Solitude. Find the inn of Solitude -the Winking Skeever, and enter to find Malborn sitting inside the inn somewhere. Speak to him and he will attempt to smuggle the hero's gear into the thalmor embassy. Choose only the important battle and sneak gear to bring in, such as potions of invisibility, potions of heal and magicka, etc. After speaking to Malborn, head out of Solitude to the stables where the hero will meet up with Delphine again. Here she asks that the hero changes into party clothes, and will keep the hero's other gear for safe keeping until he returns from the Thalmor Embassy. Board the carriage to reach the Thalmor Embassy. Show the door guard Elenwen's Reception Invitation, and enter the Thalmor Embassy party. 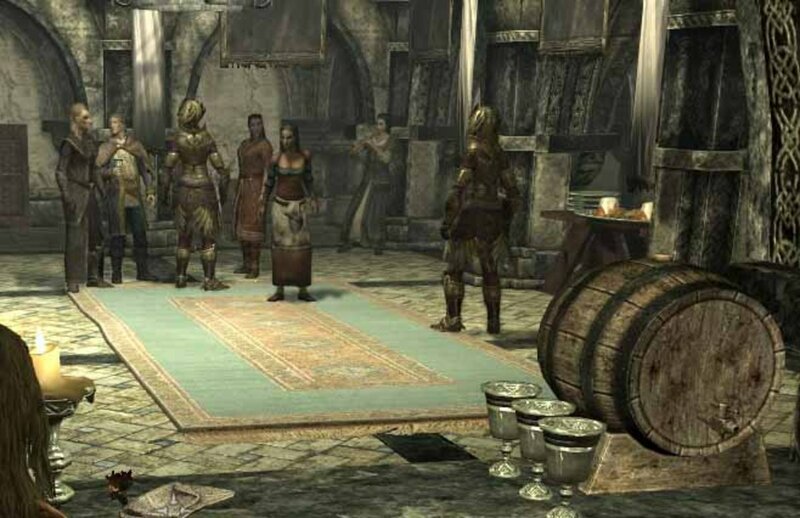 In the Elenwen Thalmor Embassy party, the hero will have to create a distraction. Before creating this distraction at the Elenwen Thalmor Embassy party, speak to Malborn and tell him the hero is ready so that he will stand at the door. The best way to create a distraction is to speak to Erikur, and then Brelas the elf servant of drinks at the party. Speak to Erikur again, and he will tell the hero he wants to "date" Brelas. Now return to Brelas to tell her of Erikur's intentions. Brelas will be disgusted, and say no. Return to Erikur and tell him that Brelas the elf servant wants to meet him in his room. Erikur will become so excited that he will go over to haress Brelas. All the guards and the guests in the party room will move over to this distraction. Take his opportunity to head over to Malborn and leave the Elenwen Thalmor Embassy party through the kitchen door. There is an alternative way to create a distraction at the party. In Skyrim, once the hero has left the Elenwen Thalmor Embassy party, he must retrieve his gear from a chest in the kitchen pantry, and then move into the inside of the Thalmor Embassy. At the start of the Thalmor Embassy interior, the hero will be faced with trying to sneak past one Thalmor guard to move upstairs (stairs on the right as soon as the hero enters the room). 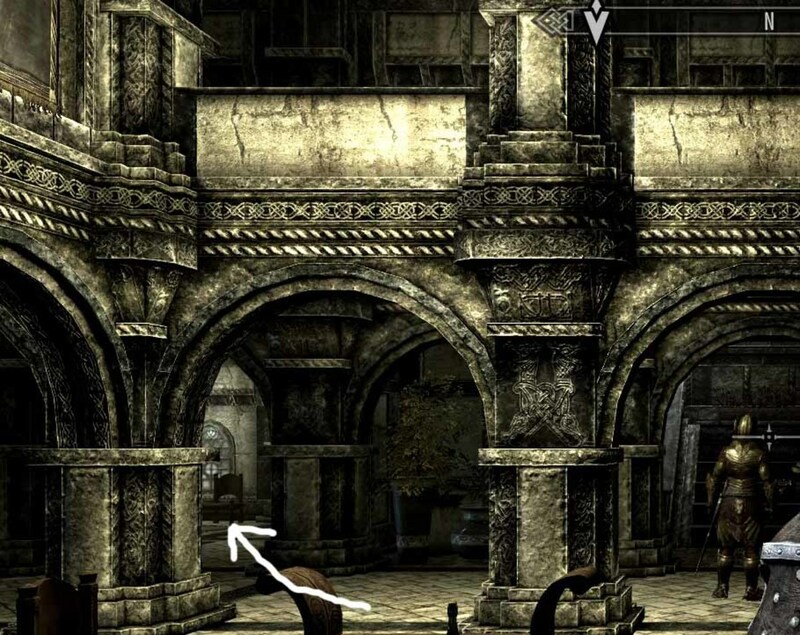 Wait for the Thalmor guard to face the wall on the far end (his back will be facing the hero), and then sneak past him to the stairs on the right. Head up the stairs, and the hero will reach a Thalmor wizard. It may not be possible to sneak past this Thalmor wizard at low sneak levels. The hero has a few options here. Either sneak and then backstab the Thalmor wizard so hard that one blow downs the wizard. Or just engage the wizard in a very fast battle. The battle has to be really fast (just damage the wizard repeatedly with huge damage) or the Thalmor guards downstairs will catch up. Alternatively just run past the wizard to the Thalmor Embassy Courtyard. The entrance is on the right of the corridor past the Thalmor wizard. In the Thalmor Embassy Courtyard, it may not be possible to sneak past all the Thalmor guards. The hero may have to just run for the building near the center of the courtyard - Elenwen's solar. Head inside, and the guards in the courtyard will not chase after the hero. 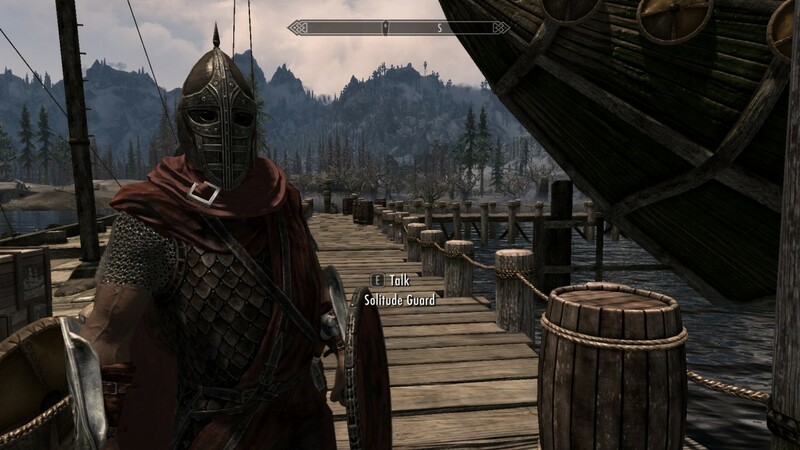 There is only one guard inside Elenwen's solar. In addition, over in the distance, an argument can be heard between two men. Do not wait for this argument to end. Wait for the guard to start climbing the stairs, and quickly sneak to the ambassador's office to the far left. Search through the Thalmor Embassy Ambassador's Office chest for the thalmont's dossiers (2 dossiers) and the dragon investigation papers. Read these three documents, and find an interrogation chamber key within the chest to unlock the door in the office and head downstairs to the Thalmor Embassy Dungeon and Interrogation Chamber. In Skyrim, the Thalmor Embassy Dungeon holds the prisoner Etienne Rarnis and he is being interrogated and punished by a Thalmor guard. Just outside the window of Rarnis' cell is the Thalmor third emissary Rulindil. To best navigate this area, the hero should have sneak of at least 30, the backstab perk (sneak attack damage X 6), the Axe of Whiterun and the Unrelenting Force Shout power (on button Z at the ready, PC version). From behind the pillar, sneak to behind Rulindil, and raise the Axe of Whiterun, Sneak attack him for X 6 damage, and Rulindil will be taken out in one attack. This will prevent Rulindil from summoning monsters to help him. 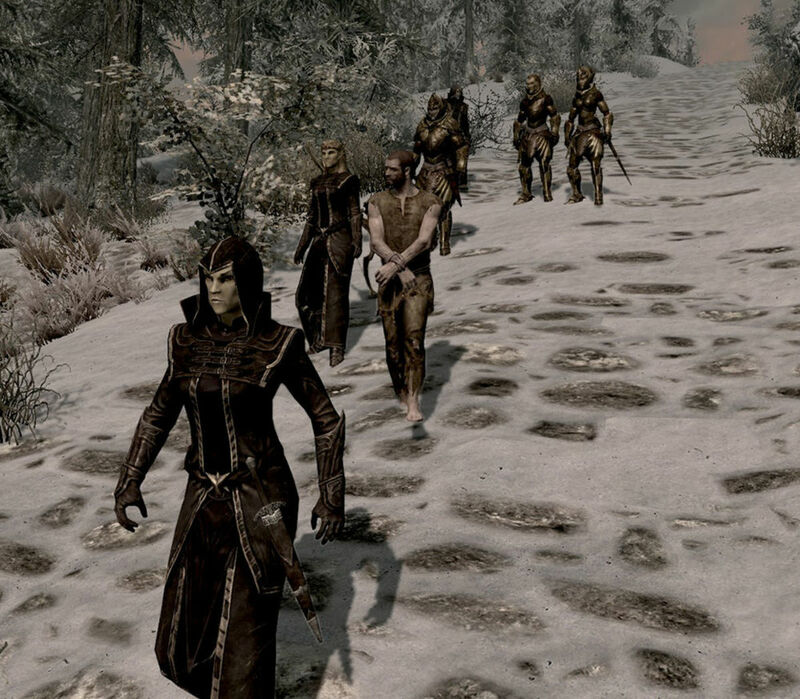 The Thalmor guard will be alerted once this sneak attack begins. When the Thalmor guard draws near, use Unrelenting Force Shout to push him backwards. If there is a wide and long space behind the Thalmor guard, the Unrelenting Force will push him backwards and sprawling onto the ground. Take this opportunity and hit him repeatedly with the axe before he can stand up. With the two Thalmors in the Thalmor Embassy Dungeon gone, rescue Rarnis and Brelas in the next cell. Now search the area for treasures, including the chest next to Rulindil for the final dossier on Esbern. Do not read this dossier yet. Instead head upstairs and to Rulindil's office through the other exit in this dungeon. The hero may want to take out the Thalmor guard in Elenwen's solar now. Now head near to the other (and first) entrance to the Thalmor Embassy Dungeon and read the final dossier. 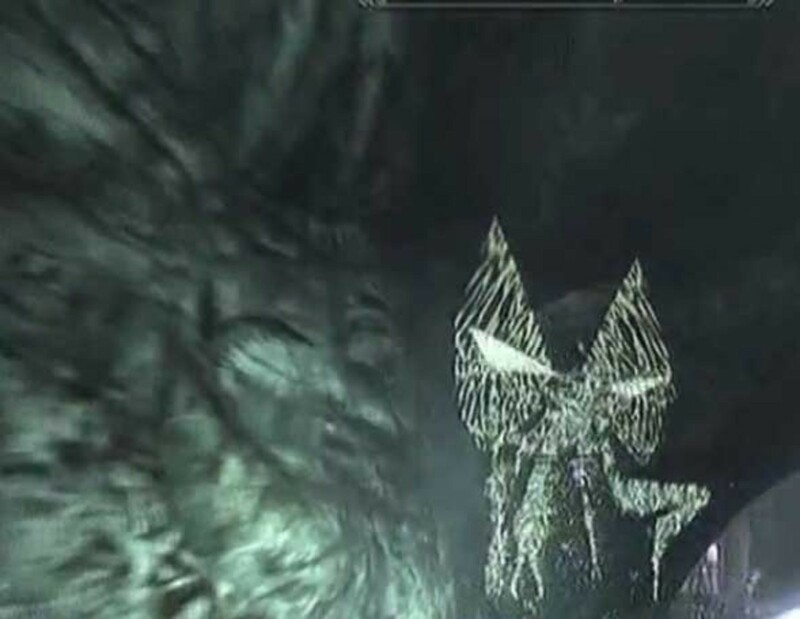 This will trigger off the action sequence of two Thalmor guards escorting Malborn into the dungeon. Go into sneak mode and follow them downstairs. By reading the final dossier upstairs, the hero can actually sneak attack one of the two Thalmor guards in the Thalmor Embassy Dungeon downstairs. This will take out a significant amount of the guard's health points. Finish him off with unrelenting shout and melee attacks. Now with just one guard left, he should be no match for the hero. On these two guards is the trapdoor key to the Reeking Cave. Find the trapdoor to the Reeking Cave, and enter the Reeking Cave to escape the Thalmor Embassy. The Reeking Cave contains a frost troll. Tactics to defeat the frost troll are discussed here. The hero's follower should reappear here to help. Once the troll is down, the escape from the Thalmor Embassy is complete. Next, seeking out the dragon lore expert Esbern the Blade in Riften. Which character type were you using? ?